"Jump Start" is one of Greg Howe's most popular tunes off of his "Introspection" album . This t-shirt is now available in S, M, L, & XL. 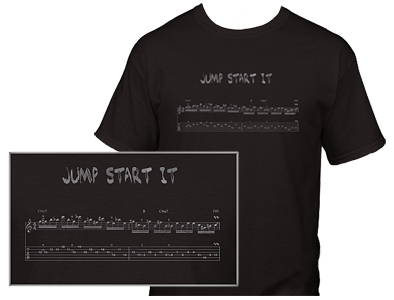 Also, available is a bundle package of the T-Shirt & Introspection Tablature Book - Click Here for more information.